Genesis Shining Force (USA) in 1:59:59.05 by DarkKobold. 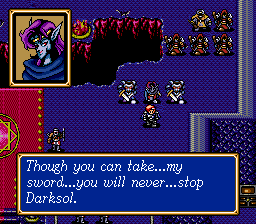 Shining Force is just under two hours of luck manipulation action. The random number generator is abused to the highest degree. The author used MATLAB, a math scripting language, to optimize the battle speeds. This is a 4 minute 27 second improvement over the previous movie by the same author.